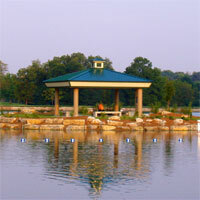 Bear Creek Prairie is a community designed to coexist with the natural surroundings for an enhanced living experience. Not just a place to live, but a place to enjoy life. Clustered homes facing green spaces, plazas, community gardens, and a restored prairie and woodland will provide a rich community experience and connection to the outdoor environment. It is pedestrian-friendly with pedways, sidewalks and trails and with that added sense of security that comes from knowing who your neighbors are. There is convenient access to the Bear Creek Trail and to the Columbia bus system. Quality construction with special emphasis on energy saving features and passive solar orientation will be the hallmark of Bear Creek Prairie. Extra measures will assure healthy indoor air quality in village homes. 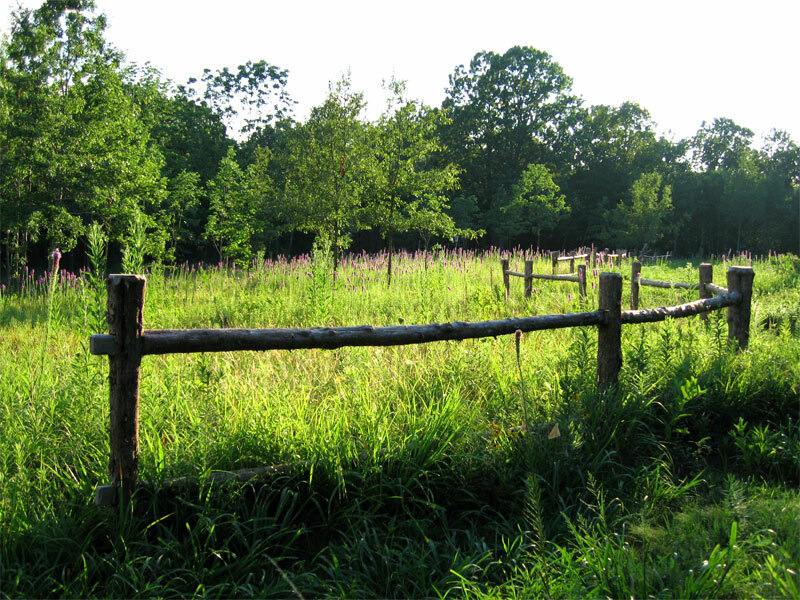 A rare and diverse remnant prairie provides the focus for the Bear Creek Prairie community. Trails around the prairie and throughout the development will connect to nearby Bear Creek Trail. A community building containing a neighborhood coffeehouse/market with an outdoor patio will be the focal point of the central plaza. Features of the plaza may include community gardens, a fire pit, an outdoor area for community events and social gathering areas. The community building will also contain space for a central mailroom, laundry facility, and other spaces residents may desire, such as game room, exercise room and library/reading room. Located on Northland Drive in northeast Columbia, Bear Creek Prairie has quick and easy access to I-70 and new Hwy. 63. There are grocery stores, specialty food shops, restaurants, banks, pharmacy, and many other services within a couple miles. A new neighborhood commercial district is planned within easy walking distance. BCP is served by Columbia Public Schools with school bus service on Northland Drive. Headquartered in the Historic Wabash Station in downtown Columbia (aka The District), Columbia Transit operates fixed bus routes Monday thru Saturday. A sheltered bus stop will be located at Bear Creek Prairie just a few steps from most homes, providing convenient service to downtown shops and attractions, Columbia and Boone county government centers and the University of Missouri and Stephens and Columbia Colleges. Bus fares are fifty cents (less with pass books), with transfers to other fixed routes at Wabash Station, providing easy access to major employment centers, hospitals and shopping malls. Buses are equipped with wheel chair lifts and bike racks. Bear Creek Prairie is adjacent to city parkland and the Bear Creek Trail which will take residents to Albert Oakland Park and Cosmos Park. Albert Oakland Park, just a half mile east , has 75 acres with many features including picnic shelters, one mile hiking/biking trail, tennis courts, basketball courts, softball fields, playground with tot lot, fishing lake, swimming pool, volleyball courts and an extensive Frisbee golf circuit. It is designated wheelchair accessible. Cosmos Park on the west is about 4 miles from BCP. The Trail generally follows Bear Creek and traverses woodlands, wetlands and city owned prairie on the way to Cosmos Park which has softball fields, soccer fields and a state of the art skateboarding facility. Just three miles from the development is the new, fabulous Stephens Lake Park at the corner of East Broadway and Old 63. The island in the middle of the dredged and rebuilt lake is a jewel with native landscaping, shelters, benches, interesting rock work and just a wonderful place to relax after a hike on the trails. With swimming beach, fire pit, picnic shelters, and amphitheatre there is truly something for everyone. With the campuses of the University of Missouri, Columbia and Stephens Colleges all bordering a historic downtown filled with coffee houses, galleries, pubs and restaurants, Columbia can truly be described as "College Town USA." Columbia has been ranked by national publications as one of the best small cities in America. Once described by Money Magazine as "clean and green," the city boasts one of the country's few wetlands wastewater treatment systems. Progressive landscaping and sign standards enhance the visual quality of new development, and recently updated street design standards requiring "pedways" and bike lanes on major streets will enhance accessibility and encourage residents to walk and bike. Because of its location just ten miles east of the Missouri River and within the "Ozark Border," much of Columbia's landscape is characterized by wooded hills, limestone bluffs and meandering creeks. Most of these natural scenic resources are easily accessible by foot or bicycle on one of Columbia's growing number of hiking and biking trails. 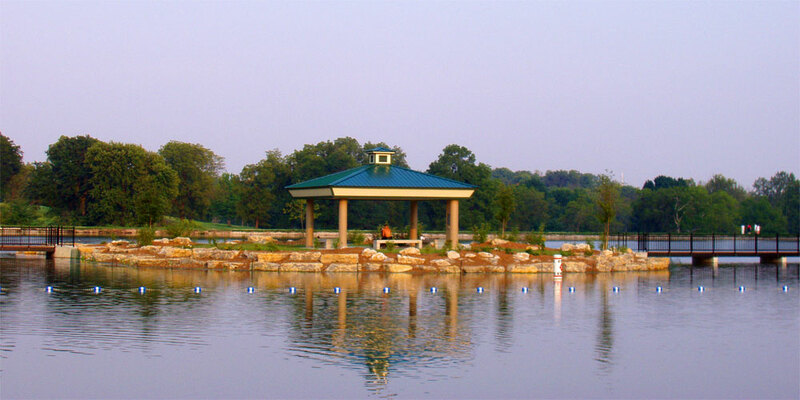 In fact, Columbia's Department of Parks and Recreation has received national acclaim. In 2005, the Federal Highway Administration selected Columbia as one of four communities to receive $25 million grants to implement city-wide pedestrian, bicycle and trail systems. This along with the new Columbia Activities and Recreation Center and many excellent private fitness centers, adds to Columbia's national reputation as one of America's most fit cities. In addition, Boone County is blessed with thousands of acres of rugged state and national parks and conservation areas with hiking, mountain biking and horse trails. Columbia's public school system is regularly ranked among Missouri's top, cost of living and unemployment rates are below the national average, and residents enjoy four distinct seasons with fairly moderate winters. Now, all is not "perfect in paradise." In part, because of its high quality of life, people and new businesses want to locate in Columbia. Citizens and elected officials struggle at times with the challenges that accompany a growing and prosperous community. Columbia's challenge is to grow in such a way that future generations will have the opportunity to enjoy a high quality of life. Bear Creek Prairie aspires to meet this challenge head on by being a model for sustainable neighborhood development.